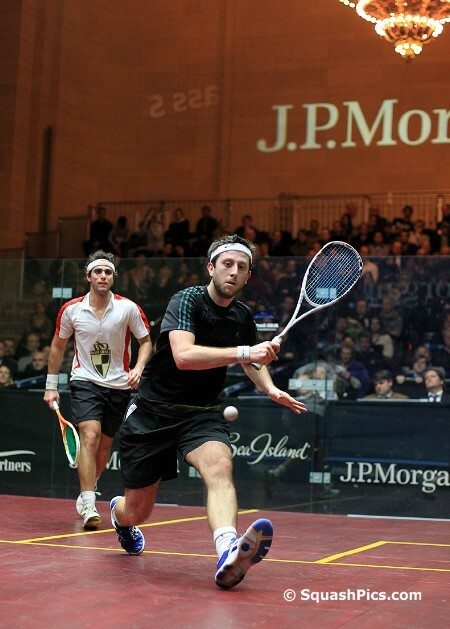 In an opening day of the JP Morgan Tournament of Champions which was littered with upsets, England’s Daryl Selbyclaimed the biggest scalp with a career-first win over Egypt’s Karim Darwish, the No4 seed, in the first PSA World Seriessquash event of the year in New York. 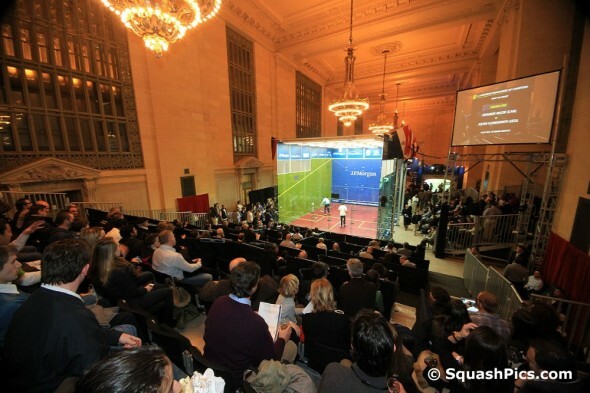 After losing the first game 4-11 on the all-glass court at Grand Central Terminal, Selby went ahead 9-3 in the second. 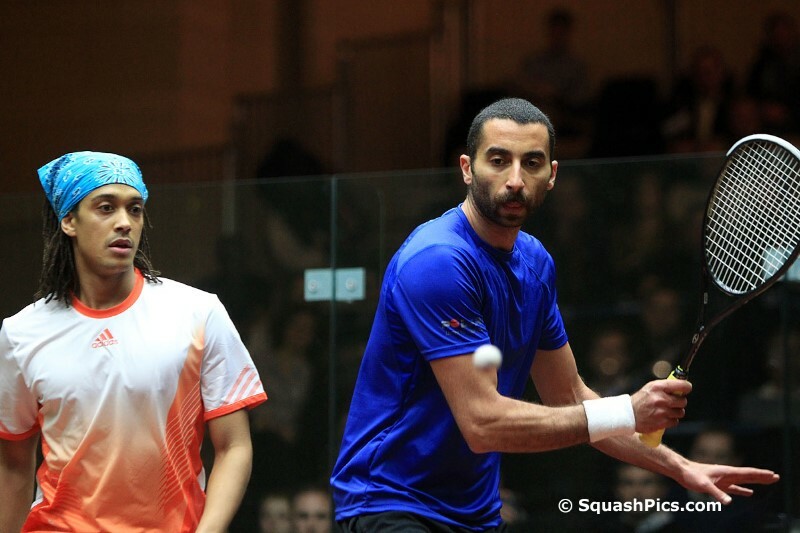 The former world No1 from Cairo was not going to be dismissed so quickly and worked his way back into the game to take a 10-9 lead. 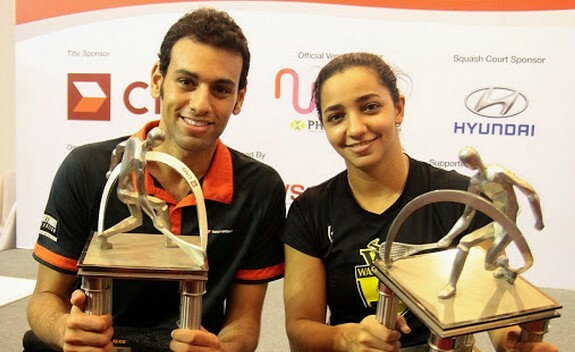 Once Selby secured the second game 13-11, the momentum and confidence shifted from the Egyptian, ranked five in the world, to the Englishman. 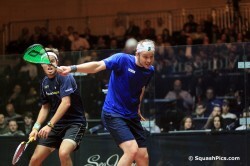 Selby picked up speed and intensity, winning the third game 11-8 and the fourth 11-5. Marwan El Shorbagy, the 18-year-old reigning world junior champion, engineered the day’s biggest upset when he ousted former world No1 and eighth seed Thierry Lincou in four games. 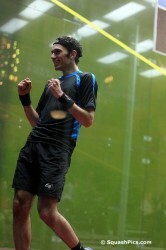 The Egyptian qualifier was beaming from ear-to-ear as he savoured his stunning victory. In fact, El Shorbagy junior covered a lot of court as he went toe-to-toe with one of the sport’s strongest and most balanced players. 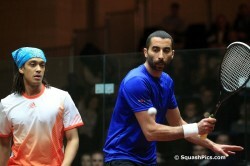 The 35-year-old Frenchman, who started playing the PSA tour the year his opponent was born, fended off his upstart challenger in the first game, 11-9, by hitting strong drives to the rear of the court and then mixing in a variety of shots. 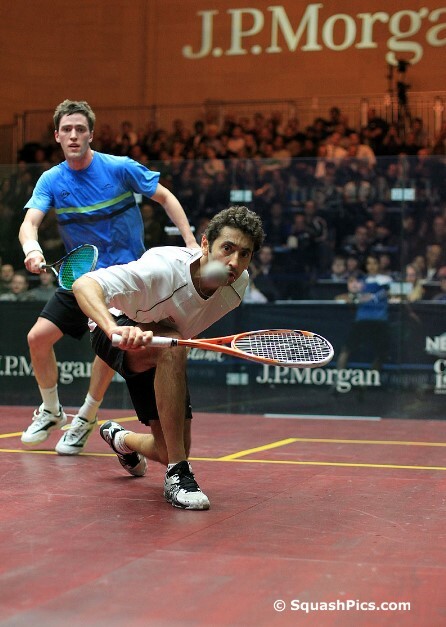 But his young challenger was undaunted, and took advantage of an increasing string of errors from Lincou to win the next three games, 11-5, 11-7, 11-7. The toughest battle of the day was enjoyed by Peter Barker and Ong Beng Hee who pushed each other to the limit in an 84-minute outing that saw sixth seed Barker move onto the second round. 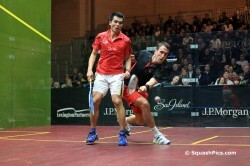 The 31-year-old Malaysian qualifier started quite strongly, winning the first two games 11-8, 12-10. “My old self might have lost that match,” said Englishman Barker. “But I have been working on staying calm and not panicking.” The work has paid off; Barker dug in and used power and length to wear down his opponent. 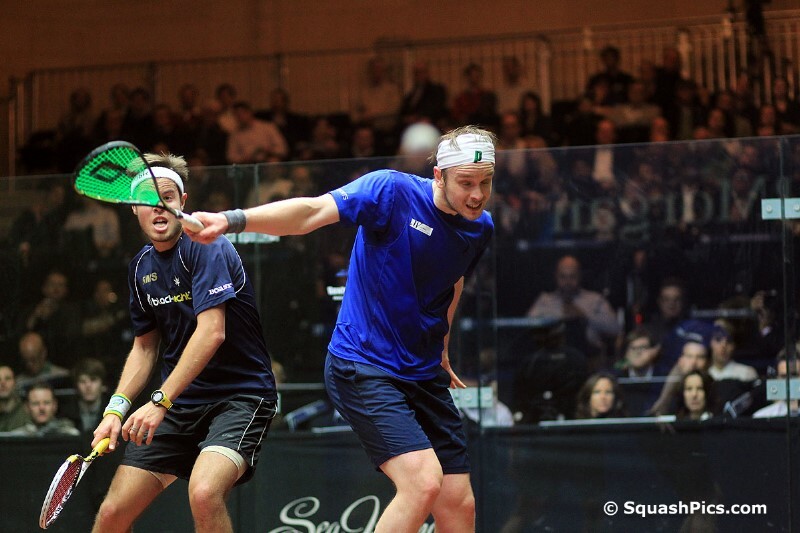 “He is so strong, it is difficult to keep up with his pace,” said Beng Hee, a former world No7, after the match which Barker won by rebounding to take the final three games 11-7, 11-7, 11-9. “Just think, it can only get better from here,” said Barker’s father as he both congratulated and gave his son a bit of a ribbing at the conclusion of the match. 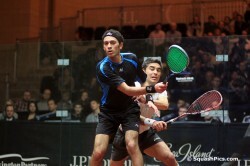 Barker takes on Canada’s Shahier Razik in the next round of play. 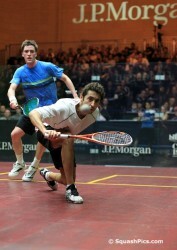 Razik eliminated Julian Illingworth, the local favourite, in four games. While the New York crowd may have been disappointed at losing the highest ever PSA-ranking US player from the draw, the documentary film crew that is following Razik was delighted that he will continue to play. 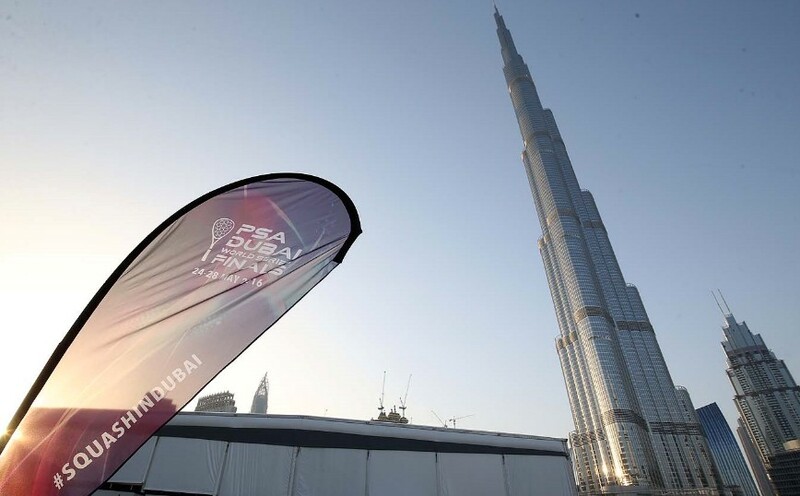 That might be a slight understatement from the current world No1 who acknowledged that he is playing the best squash of his career and competing as well as he ever has. 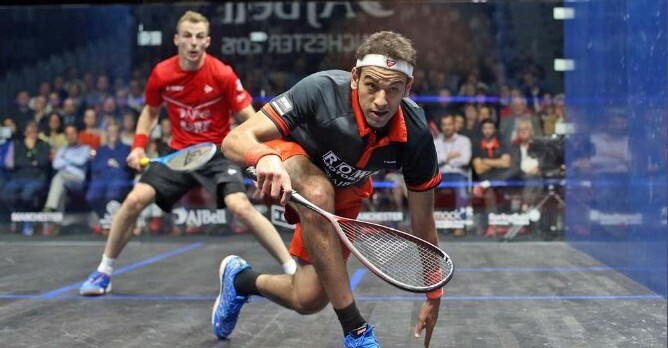 Willstrop’s next opponent also feels that he is playing some of his best squash: Qualifier Mohammed Abbas, who has been ranked as high as 13 in the world, eliminated Alister Walker in four games to set up his second round encounter with Willstrop.